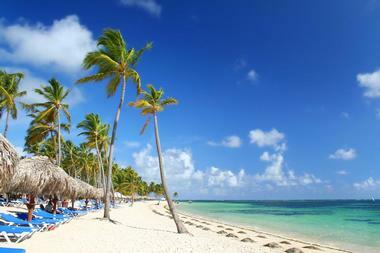 Europeans have been tapping the Dominican Republic for affordable Caribbean vacations for decades. 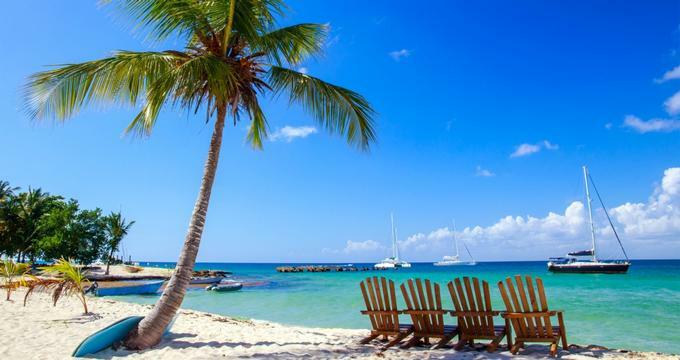 This small country on the island of Hispaniola has since blossomed with luxury all-inclusive resorts, especially in Punta Cana on the island’s eastern edge. It now draws epicurean travelers from all over the world to exclusive resorts offering high end accommodations and amenities. Although much of the development has more recently centered on the white sand beaches of Punta Cana, the island’s protected northern Amber Coast on either side of Puerto Plata is rarely subjected to hurricanes. 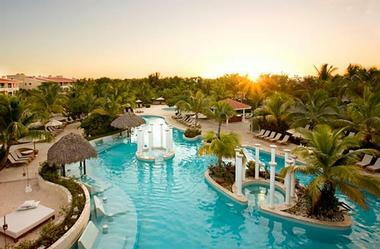 This makes the traditional center of Dominican tourism an affordable and popular summer getaway. These 25 all-inclusive resorts await the traveler on this magical island. Cap Cana has the powdery white beaches and turquoise waters one would expect from a captivating Caribbean locale. AlSol Tiara is located within the exclusive Cap Cana hotel district of Punta Cana on the eastern end of the Dominican Republic. This all-inclusive resort has 115 all-suite accommodations in six different styles: Marina and Ocean Master Suites, Marina and Ocean Suites, and Marina and Ocean Swim-out Suites. Swim-out Suites are located on the ground floor with direct room access to a pool area. Restaurants include Latin fusion, pan-Asian, Italian (beachside), and Caribbean seafood and grill. They offer numerous onsite activities from Spanish lessons to karaoke nights as well as several local tours. 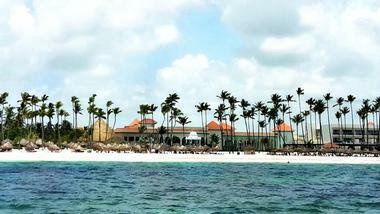 Bávaro Beach is a brilliant white powdery beach located in the tourist area of Punta Cana. 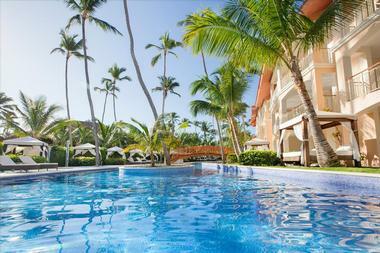 Barceló Bávaro Beach is the oldest five-star resort on the beach and has a strong reputation for pleasing guests. This all-inclusive morphed into an exclusive adults-only resort after a complete renovation, and is one of four Barceló properties with some shared amenities. It features high-end touches in spacious rooms, 80% of which are located beachside. Couples looking for a romantic getaway, or simply some peace and tranquility, will want to consider this resort. There are six room styles and one suite style. They have a large swimming pool and hot tub. Restaurants include a Caribbean buffet and Las Brisa, an over the water restaurant. 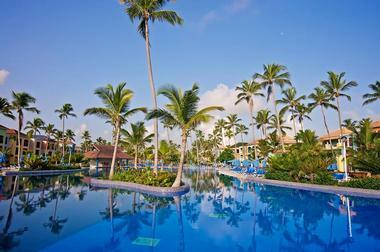 Bávaro Princess All Suites Resort, Spa & Casino is an upscale all-inclusive resort for families. Located on the pristine and popular Bávaro Beach in Punta Cana, the suites-only resort has 524 Bungalow suites and 82 Junior suites. There is also an exclusive Platinum area closer to the beach with an additional 168 suites that receive upgraded, personalized service. Thirty-two honeymoon suites provide new couples with a romantic vibe. There are nine restaurants onsite, including a sumptuous Japanese restaurant and a restaurant featuring Argentinian steaks, alongside more casual cafés and bars. There are two adult swimming pools and one children’s pool. This is the kind of resort that guests return to year after year. Blue Beach Punta Cana sits seaside along Cabeza de Toro Beach, a coconut tree-lined, white sand beach in the quaint fishing village of the same name. It has hosted several world-renowned international fishing tournaments over the years. The ultra-modern resort has 174 luxury suites for epicurean travelers, surrounded by 6 acres of exotic gardens. 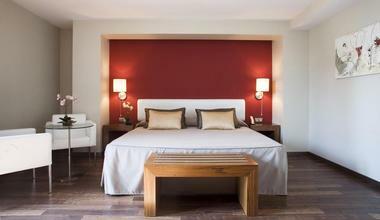 Contemporary accommodations include the Junior, Master, Rooftop, and two and three-bedroom Family Luxury suites. Upscale amenities at this seaside retreat include two outdoor pools, direct beach access, and complimentary Wi-Fi. Guests will also find motorized water sports (included), excursions tailored to guests, a spa, salon, and fitness center as well as two outdoor pools. There are also the Kid’s Blue Zone, three á la carte restaurants, and three bars. Couples obsessed with Caribbean sunsets will want to consider Catalonia Royal La Romana All Inclusive Adults Only Hotel situated on the Dominican Republic’s southern shore. This new hotel sits enviably on the soft white sand beach of Playa Bayahibe, an International Blue Flag beach, overlooking the calm turquoise waters of the Caribbean. Guests will find the best scuba diving in the Dominican Republic in this area. 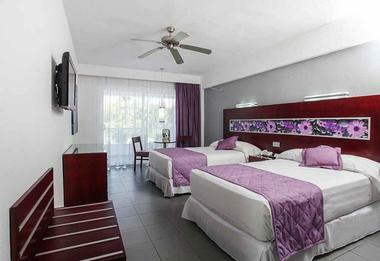 The adults-only hotel offers Garden View and Comfort rooms, as well as Privileged Superior, Deluxe, and Honeymoon rooms. There are also Privileged Honeymoon Suites with garden views. The signature restaurant is Thalassa, a Mediterranean-style culinary experience. They also have an organic/vegetarian beachside restaurant, and Peruvian, Southeast Asian, and Tuscan Italian restaurants. There are a few things that set CHIC by Royalton All Exclusive Resort apart from the rest, the most impressive being CHIC Mansion. This adults-only resort on the golden sands of Uvero Alto Beach in Punta Cana offers an exclusive 11,500-square-foot private mansion that accommodates a dozen guests in six luxurious rooms with private en suites. It also features a Jacuzzi, fire pit, barbecue, private pool, and lounge stocked with premium liquors. It’s the perfect accommodation for a private destination wedding, family get-together, or friends’ getaway. There are also 320 guestrooms that range from Junior Suites to exclusive Presidential Suites. Those looking for an opulent, exciting South Beach vibe will find it here. Confresi Palm Beach & Spa Resort offers guests an impressive and diverse array of accommodations, from the all-inclusive members-only Oceanside Suites, adults-only Spa Suites, Ocean View Penthouses, and Family Friendly Rooms to long-term stay Residence Rooms without all-inclusive amenities. All accommodations include marble floors, modern furnishings, and air-conditioning. Some have a terrace or balcony, kitchenette, and jetted tub. Situated on the island’s north shore, Confresi’s fine golden sand beach is west of Puerto Plata on the Amber Coast. There are 12 pools on the property, all creatively designed and located to provide a different ambiance in each setting, and nearly as many restaurant choices. Socially conscious travelers will want to book their Dominican Republic vacations at Dreams La Romana Resort & Spa, a Rainforest Alliance Certified resort. This resort works hard to make the world a greener, more socially responsible place. 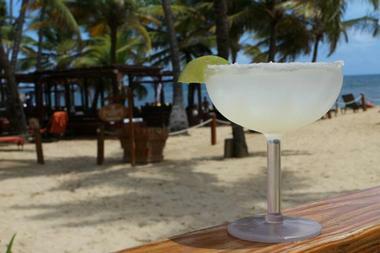 Their seaside location is along Blue Flag Certified Bayahibe Beach – a renowned eco label. They provide a host of onsite luxury amenities that are all included in the Unlimited Luxury experience. Guests can choose from a dozen types of guestrooms and suites. They offer seven à la carte restaurants, two bistros, a café, and a buffet. There are resort pools, private pools, a casino, a kids’ club, and an array of excursions available to guests. No luxury has been sacrificed in the making of this green resort. Companies and organizations take note. 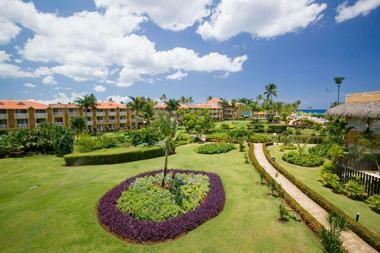 Dreams Palm Beach Resort & Spa Punta Cana features a convention center and 500 rooms and suites. This AAA Four Diamond resort boasts the Unlimited Luxury philosophy – where nearly everything is included – that characterizes Dreams resorts and spas. Resort restaurants are all reservation-free. There’s a kids’ club, teens’ club, casino, and a vast array of activities and excursions. Family-sized guestrooms and suites feature luxury room amenities, and Preferred Club rooms and suites takes it up a notch with upgraded concierge services and more. This all-inclusive resort is also a great choice for a seasonal destination wedding. The warm golden sands of Uvero Alto Beach are home to Excellence Punta Cana all-inclusive resort, where the rhythms of merengue and the ocean will alternately excite and soothe any traveler. This resort offers an astonishing 18 styles of suites, from a spacious junior suite with private plunge pool to an opulent honeymoon suite with a private rooftop terrace, plunge pool, panoramic Caribbean views, and Excellence Club amenities. Excellence Punta Cana is a premier destination for couples looking for a romantic getaway, or a place to celebrate their love with a proposal, wedding, honeymoon, vow renewal, or anniversary. Excellence has nine restaurants, 12 bars, a beach snack grill, and a buffet – no reservations required. Situated on the idyllic white sands of Bávaro Beach, Grand Palladium Punta Cana Resort & Spa is one-third of a resort complex that includes Palladium Palace Resort, Spa & Casino and Grand Palladium Bávaro Resort & Spa. The resort has 397 Deluxe Rooms, 28 Standard, 12 Junior Suites and 14 Loft Suites. The benefit to guests of the three-hotel resort complex is access to eight themed à la carte restaurants, including international, Asian, Tex-Mex, Italian, Mediterranean, Spanish, Brazilian, and Japanese. 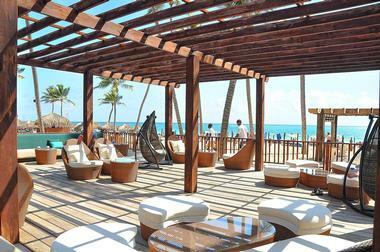 Additionally, there are five buffet restaurants, 13 bars, and six beach bars in the complex. There is also a casino, spa and wellness center, kids’ and teens’ clubs, and five pools. 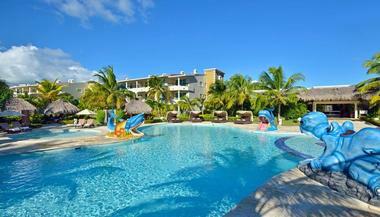 BlueBay Villas Doradas is an all-inclusive adults-only resort located on Playa Dorada on the island’s north shore. Just outside Puerto Plata, this resort shares the exquisite white sand Playa Dorada beach and famous Robert Trent Playa Dorada Golf Course with other resorts in the resort zone. 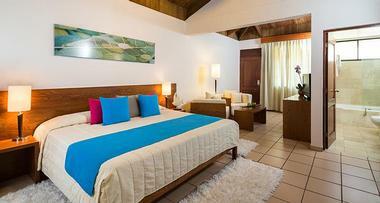 BlueBay Villas Doradas has 245 rooms and suites that don’t hold back on luxury. A world-class spa facility and four restaurants are also available. Couples or individuals can take classes in activities as diverse as Latin dancing and cocktail making. There are numerous resort activities to try out like sailing, scuba diving, and windsurfing. This award-winning resort will please even the most discriminating traveler. Hotel Riu Palace Macao is an all-inclusive resort on the wide, coconut palm-lined, golden sand beach called Playa Arena Gorda in Punta Cana. Like many resorts in Punta Cana, Hotel Riu Palace Macao is part of a larger Riu Resorts complex with four other Riu hotels. This arrangement works great for guests, who have access to shared resort amenities and activities like body boarding, windsurfing, and sailing. Riu guests also have free access to Splash Water World, a waterpark. Hotel Riu Palace Macao has a freshwater swimming pool, gym, solarium-terrace, and the Renova Spa and Wellness Center. The modern hotel has four room styles: Junior Suite, Suite Jacuzzi, Junior Suite Superior, and Suite. Iberostar Grand Hotel Bávaro sits next door to the Riu Resorts complex and fronts the soft golden sands of Playa Arena Gorda. This all-inclusive adults-only luxury resort has an Old World ambiance with its Greco-Roman architecture. Custom art pieces by local artists reflect the traditions and heritage of the Dominican Republic. There are 272 suites in five styles – 241 have garden, garden lake, or ocean views, 12 are oceanfront suites with premier Caribbean views, and 19 are swim-out suites with direct pool access. 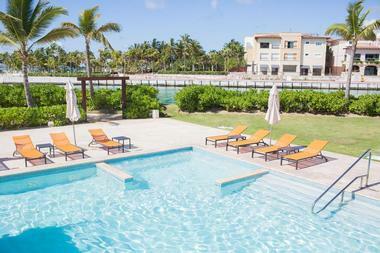 Modern amenities include a state-of-the-art fitness center and oceanfront spa. The resort offers four à la carte restaurants and an international buffet. Nestled between the golden sands of Confresi Beach on the Amber Coast and the Cordillera Septentrional mountain range, Lifestyle Tropical Beach Resort & Spa is the essence of a tropical getaway. 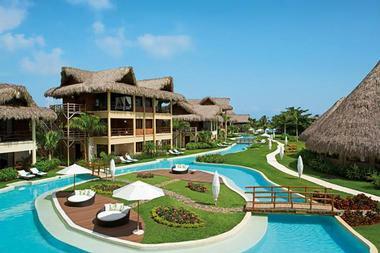 This all-inclusive resort has 212 rooms, most of which have ocean views, as well as 70 junior suites. Guests can choose from nine à la carte restaurants and two international buffets. The resort offers two additional V.I.P. restaurants for members. For spirits, there are 15 bars on the property. Guests will also find 12 pools, a kids’ club, a watersports center, two gyms, two entertainment centers, and many other shared amenities across four adjacent hotels in the resort complex. 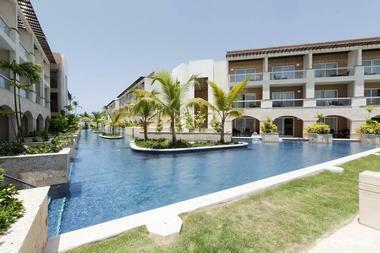 Majestic Elegance sits along the enviable Playa Arena Gorda in Punta Cana. 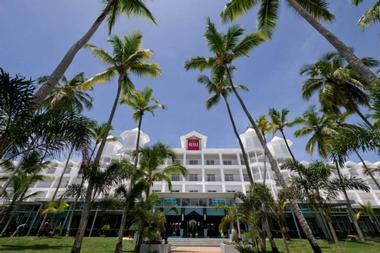 The five-star luxury hotel is nestled in a natural setting of coconut palms and well-manicured greenery. A beautiful pool snakes its way through the property, and the powdery white sand beach is dotted with palapas and palms. 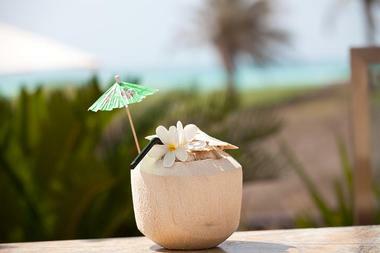 A family-friendly resort, it is specially designed to accommodate couples and families in an exclusive setting. 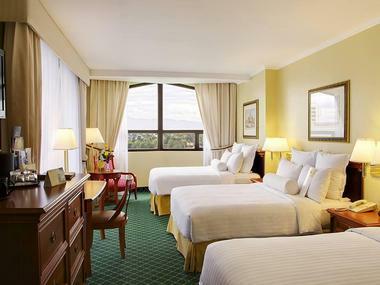 There are 597 guestrooms on the property, the majority of which are in the main family-friendly section of the resort. 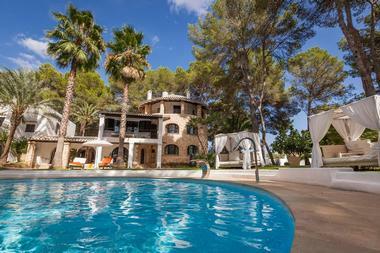 There is an Elegance Club section on the property that caters exclusively to adult travelers. Accommodations in both sections are suites and junior suites. Located on the sparkling sands of the spectacular Playa Bávaro, the Meliá Caribe Tropical offers its lucky guests a memorable immersion into the Caribbean's iconic beachfront lifestyle. Families and couples alike are certain to enjoy an extraordinary experience among the property's tropical gardens, upscale lounges, and beautiful pools. Guests select from 10 types of luxury suites, while the 12 dining venues ensure delicious meals for every taste. The smallest of vacationers will be thrilled by the activities at the kids’ zone, while those looking for more relaxing pursuits are welcome on the 18-hole golf course or in the hotel's signature spa. Snuggled up against the Caribbean waters of Bávaro Beach, the Ocean Blue & Sand Hotel's beachfront property offers a luxury stay perfectly integrated with its exotic setting. Highlights of the hotel's amenities include a magnificent beach with azure waters, expansive tropical gardens, and an exclusive diving center. Pampered guests select from five choices of rooms, from which they can rely on the attentive staff for 24-hour all-inclusive services. Eleven dining venues welcome happy vacationers famished from the day's events, such as luxurious treatments at Despacio Spa Centre and awesome activities for children between the ages of 4 and 17. Proudly offering its guests the most magical of moments, the Paradisus Palma Real is located on the Caribbean's breathtaking Bávaro Beach. The natural beauty of the setting, the stunning tropical gardens, and a climate of eternal summer unite with an authentic passion for the most polished and professional of service. This all-inclusive resort offers its guests a choice of eight deluxe suites. Dining venues range from gourmet fare to casual cafés. An onsite casino adds an element of exotic glamour, but of course, the resort’s fairways are the real star of the show, with unlimited golf available to all. Exquisite white sand, lush tropical mangroves, sparkling turquoise water – this is the allure of the all-inclusive Paradisus Punta Cana Resort. Nestled alongside Bávaro Beach, the resort’s jaw-dropping menu of amenities and activities seems endless, including golf lessons, Pilates, and beach parties. Family-friendly attractions such as an adventure park and a climbing wall offer real appeal for multi-generational vacationers. Dining and drinking is a delight at any of the property's 12 restaurants and 12 lounges. After a long day of fun in the sun, guests retire to one of eight styles of suites and junior suites or to a 5,037-square-foot villa for the ultimate luxury experience. Punta Cana Princess All Suites Resort & Spa – adults-only – offers its guests an extraordinary invitation for relaxation and romance. The unique beauty of the scenery, the quality of the white sand, and the crystal-clear waters converge in a genuine Caribbean paradise. Their 256 luxury suites and 14 romantic honeymoon suites are equipped with a 1001 details, providing havens of comfort for the active traveler. Leisurely meals featuring exquisite cuisine are available in any of the resort's five restaurants. In addition to an exciting agenda of daytime activities, a full slate of evening entertainment augments the lively nightlife. Tropical green spaces, gourmet Dominican cuisine, and an abundance of amenities welcome guests to the Hotel Riu Naiboa, located by the Caribbean's shimmering waters. Guests select from two types of suites, each of which comes with a lounge area and balcony or terrace. An all-inclusive entertainment program is perfect for creating fond family memories, while the beautiful pool and expansive sun-terrace beckon couples to hours of romantic relaxation. Excursions to the surrounding areas include the Marinarium marine park and the sugar fields of Higüey. Sumptuous dining options can be found in the resort’s restaurants presenting authentic Dominican fare. This is a Gold Level sustainable hotel. Combining the charming culture of the Dominican Republic with deluxe accommodations and exceptional service, the Royalton Punta Cana Resort & Casino promises its pampered guests the Caribbean vacation of their dreams. Modern facilities, welcoming staff, and an exhilarating locale rich with local flavor and inspired cuisine set the scene for an unforgettable escape. Three distinct sections of suites, all featuring 24-hour room service, ensure everyone books the perfect room. Ten restaurants provide ample opportunity for delicious dining and festive drinking. Attractions include a slew of beaches and pools, while the casino tempts those feeling lucky. Endless enjoyment awaits at Viva Wyndham Dominicus Palace, thanks to a singular holiday setting designed for complete Caribbean indulgence. From sparkling white sand beaches to four refreshing pools, the tropical ambiance awaiting Viva Wydham's guests is one of warmth and welcome. Guests select from 330 rooms and suites, retiring after sun-filled days of resort amenities including poolside cocktails, spa visits, and tennis games. Those feeling especially inspired can even have an airborne adventure on the seaside trapeze. Exquisite international cuisine is offered at five restaurants, while themed parties, live entertainment, and daily activities appeal to guests of all ages. Holidaymakers are invited to relax and unwind at Zoëtry Agua Punta Cana, a secluded Caribbean resort providing an elevated and personalized stay within an idyllic paradise of tropical allure. Located on 400 yards of beachfront property, guests select from 96 cane-thatched suites, each of which affords stunning ocean and garden views from private terraces. The palm-studded beach and two sparkling infinity pools encourage hours of luxurious leisure, while the gourmet meals, top-shelf spirits, and fine wines enhance the epicurean experience. A complimentary 45-minute horseback ride is just one of many premium perks and exclusive privileges.